Professor Arifa Rahman talks on teacher reflection in EFL settings. 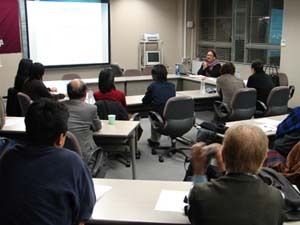 East Shikoku JALT along with Kochi Women’s University Faculty of Cultural Studies is delighted to sponsor an event by this year’s Asian Scholar, Arifa Rahman, Professor of English Language & Teacher Education at Dhaka University, Bangladesh. Since much of what happens in teaching remains unknown to the teacher, experience alone may be insufficient as a basis for development. Hence the role of reflection in a teacher education program is emphasized. Besides teaching, analyzing and sharing ideas with peers and the supervisor, participants maintain a portfolio throughout the course to record experiences and reflections. With its on-going critical element, it is argued that reflective teaching can serve as a means of contributing to one’s professional development. Arifa has wide experience (25 years) in course design, materials development, teaching, administration and research, and has several publications to her credit. 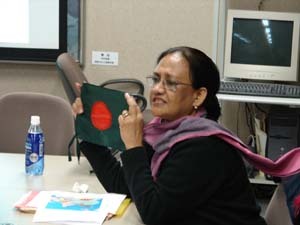 She has a PhD from the Institute of Education, University of London and is currently serving a second term as President of Bangladesh English Language Teachers Association (BELTA).